(Re)Discovering Modernity in Town Planning;... the Never Ending Story? The Lectrue - Dialog took place on 7th November 2014 at Waraaw University of Technology. The event started with opening speech of Dean of the Faculty of Architecture, professor Stefan Wrona. AESOP and ERSA wish to express word of gratitude to the co-organizers of the 8th Lecture – Warsaw University of Technology and Faculty of Architecture Warsaw University of Technology. 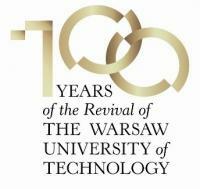 AESOP and ERSA Community wish to congratulate Warsaw University of Technology on its Centenary. 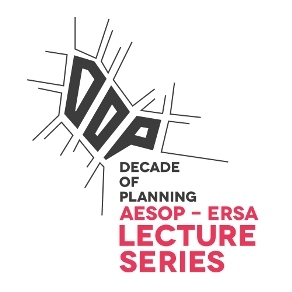 AESOP-ERSA Lecture Series was honoured being able to launch Centenary Celebrations at the Faculty of Architecture, Warsaw University of Technology. Peter Batey has been Lever Professor of Town and Regional Planning at the University of Liverpool in the UK since 1989; the Lever Chair is the oldest planning chair. He holds degrees in Geography (BSc Sheffield), Town and Regional Planning (MCD Liverpool) and Regional Science (PhD Liverpool) and is a Fellow of the Royal Town Planning Institute (FRTPI). Earlier in his career he worked as a planner in two local authorities in North West England: Lancashire and Greater Manchester. He spent 1981-82 as a Fulbright Scholar at the University of Illinois. Peter has been active in the Regional Science Association International for more than forty years and in 1997-98 served as its World President. He was elected a Fellow of RSAI in 2006. Peter’s research has been in the fields of planning methods, geodemographics and demographic-economic modelling and he has more than 120 publications to his name. He has served as an Editor of the Town Planning Review since 1992. Peter maintains a high profile in urban and regional affairs, and served as government-appointed independent chair of the Mersey Basin Campaign (2004-10), one of the most successful cross-sector partnerships. In 2000 he was elected a Fellow of the UK Academy of Social Sciences (FAcSS). Sławomir Gzell is a Fellow of the Association of Polish Architects (SARP) and the Society of Polish Town Planners (TUP) as well as tenured professor, dr habitlitatus, dipl. architect and town planner. He holds a doctorate honoris causa of Poznań University of Technology. Professor Gzell is a Head of the Chair of Urban Design and Rural Landscape at the Faculty of Architecture, Warsaw University of Technology. He is a member of the Architecture and Town Planning Committee of the Polish Academy of Sciences and Deutsche Akademie für Stadtebau und Landesplanung (DASL). He is also Deputy Chairman of the Main Advisory Commission to the Ministry of Construction, and former member of the City Commission for Architecture and Town Planning in Warsaw and the Board of the Society of Polish Town Planners. He is the author of many town planning and architectural projects and designs and has won a number of competition entries. Author of over 200 professional texts, he lectures on contemporary town planning at the Faculty of Architecture, Warsaw University of Technology and at other schools of architecture. Professor Gzell is a supervisor of several doctoral theses, and over 130 master degree theses. He served as a City of Warsaw Councillor in the `90's.